For a company that has spent most of the past few years defending a sub-par infrastructure, AT&T looked impressive today, announcing 11 new markets for its next-gen 4G LTE service. But as impressive as that sounds, you can expect sales of phones for AT&T’s new network to be slow, trailing far behind the ho-hum numbers being generated by Verizon Wireless, whose LTE network covers far more markets than AT&T’s. If you’ve been following our coverage of Verizon’s LTE experiences, you can surmise that the same problems keeping folks from buying 4G LTE phones from Verizon — a lack of compelling new devices or applications, plus a general interia of preference for the Apple iPhone — will hit AT&T, probably even harder since AT&T will have the additional hurdle of trying to convince folks to buy phones that don’t work in every U.S. market just yet. Kevin Fitchard over at GigaOM points out quite clearly another flaw in that even in its “live” markets, AT&T doesn’t have anywhere near full coverage, making it even a tougher sell to the network-savvy folks who are likely to be the first customers for a 4G device. While we expect to hear more news about forthcoming LTE devices from AT&T at its annual developer conference next Monday, the current crop of LTE-capable smartphones for AT&T has the same pricing problem of Verizon’s roster — the AT&T LTE phones range in price from $199.99 to $249.99, the latter a premium over the basic iPhone pricing of $199.99. So — kudos to AT&T for building out its needed next-gen network a little faster than expected. But that shouldn’t mean any pickup in 4G LTE phone sales, if Verizon’s history is any barometer. Want more detail on why we see a reluctance in the marketplace to buy 4G LTE phones? 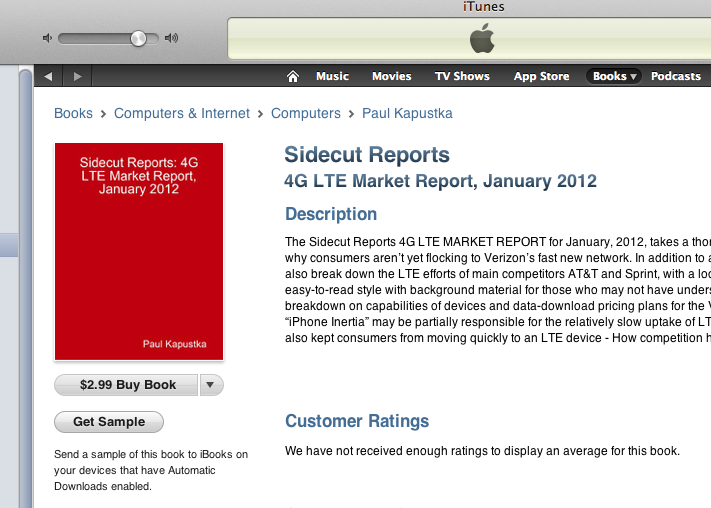 Buy our 4G LTE MARKET REPORT for January, 2012, for just $1.99, downloadable immediately.